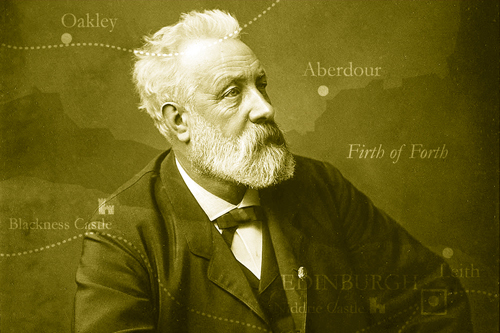 Jules Verne was a real lover of Scotland and very much inspired by his readings of Walter Scott’s books. The Institut français celebrates the great author through readings and talks. Jules Verne’s Voyage à reculons en Angleterre et en Écosse (Backwards to Britain, Chambers, 1993) was written in 1857, after a trip Jules Verne made with a friend from Nantes to England and Scotland. Verne himself had Scottish blood and was fascinated by Scotland – the true purpose of his journey – he had discovered in Walter Scott’s books such as Rob Roy.